Robért Fresh Market collects the information which is provided by you on registration, together with information we learn about you from your use of our service, your visits to our web site, and your visits to other sites accessible from our web site. We also collect information about the transactions you undertake, including details of payment cards used. We may collect additional information in connection with your participation in any promotional programs offered by Robért Fresh Market, and information you provide when giving us feedback or completing profile forms. We also monitor customer traffic patterns and site usage, which enables us to improve the products and services which Robért Fresh Market and its Members provide. In addition, Robért Fresh Market will access the information retrieved through your use of your Robért Fresh Market Club Card. We will use your information to provide and personalize Robért Fresh Market services, to help us improve our service to you, and to make our communications more relevant. We will also use your contact details to regularly communicate with you. We may use your information to send you offers and information from Robért Fresh Market, as well as other carefully selected companies which we think may be of interest to you. Once you have registered to use robertfreshmarket.com, you will be provided with access to a “Contact Preferences” page that will allow you to tailor our commercial communications to your preferences. To change your contact preferences simply click “My Account” in the top frame and click “Your Contact Preferences”. If you do not want to receive commercial communications from us, please select your choices by using the boxes available on that page. Robért Fresh Market would like to hear your views to help us improve our service. From time to time, we may contact you to solicit your opinions. Again, if you do not wish to be contacted for this purpose, please make your choice on the “Contact Preferences” page. 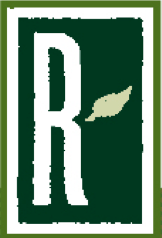 Your information may be used by Robért Fresh Market, Inc., all of its related companies, and all of its Members. We will never pass your personal data to anyone else, except for any successors to our business and the organizations that process data on our behalf. We may also use and disclose information in the aggregate (so that no individual customers are identified) for marketing programs, advertisers, and partners. Robért Fresh Market may display targeted advertisements based on personal information. Robért Fresh Market does not provide any individual personal information to the advertiser when you interact with or view a targeted ad. Advertisers (including ad serving companies) may, however, assume that people who interact with, view, or click targeted ads meet the targeting criteria—for example, women ages 18-24 from a particular geographic area. Robért Fresh Market uses both session ID cookies and/or persistent cookies. We use session cookies to make it easier for you to navigate our site. A session ID cookie expires when you close your browser. A persistent cookie remains on your hard drive for an extended period of time, unless you remove the cookie in the manner determined by your particular Internet browser. Disabling the cookie function for your Internet browser will restrict the online services you can use at the Robért Fresh Market website. Robért Fresh Market follows generally accepted industry standards to protect the personal information submitted by you, both during transmission and upon Robért Fresh Market receipt. No method of transmission over the Internet, or method of electronic storage, is 100% secure. Therefore, while Robért Fresh Market strives to use commercially acceptable means to protect your personal information, we cannot guarantee its absolute security. Robért Fresh Market reserves the right to modify this privacy statement at any time, so please review it frequently. If we make material changes to this policy, we will notify you here.